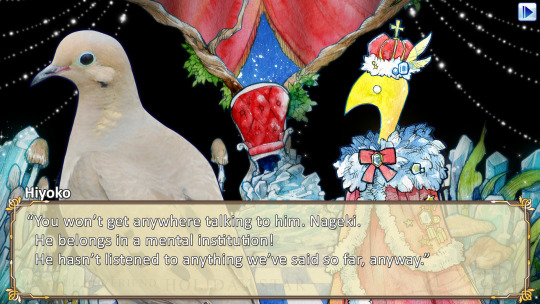 Ornithological gamers are all aflutter with the news that developer Mediatonic (Amateur Surgeon, Foul Play) and bird-brained publisher Devolver Digital will release Hatoful Boyfriend: Holiday Star on PlayStation 4, PlayStation, Vita and PC this fall. 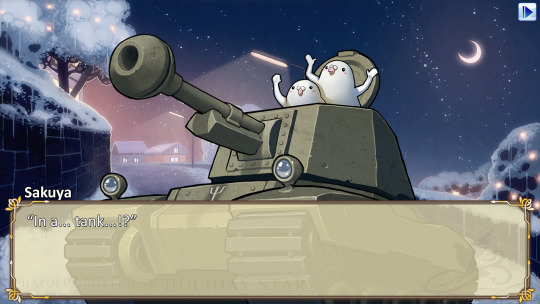 The remastered sequel to everyone’s favorite bird dating sim Hatoful Boyfriend will come with spruced up visuals and all the bells and whistles (and chirps) a bird lover could ever want. Hatoful Boyfriend fans will travel to fantastically styled worlds, meet interesting new chickadees, and find romance in elegantly designed winter wonderlands and a new mysterious watercolor world. Dust the snow off your wings and take flight with both familiar faces and new friends in extraordinary adventures hatched from the whimsical mind of the series creator Hato Moa and developer Mediatonic! “While we would have loved to create an all-new franchise with our friends at Mediatonic, investing $350,000 in bird motion capture gear limits our options,” said Devolver Digital CFO Fork Parker. The original Hatoful Boyfriend is available now on Steam with an expanded PlayStation 4 and Vita version set to arrive this summer. For more information about the leading romantic bird simulator series please visit www.devolverdigital.com or start chatting up some local birds just to see what’s up.